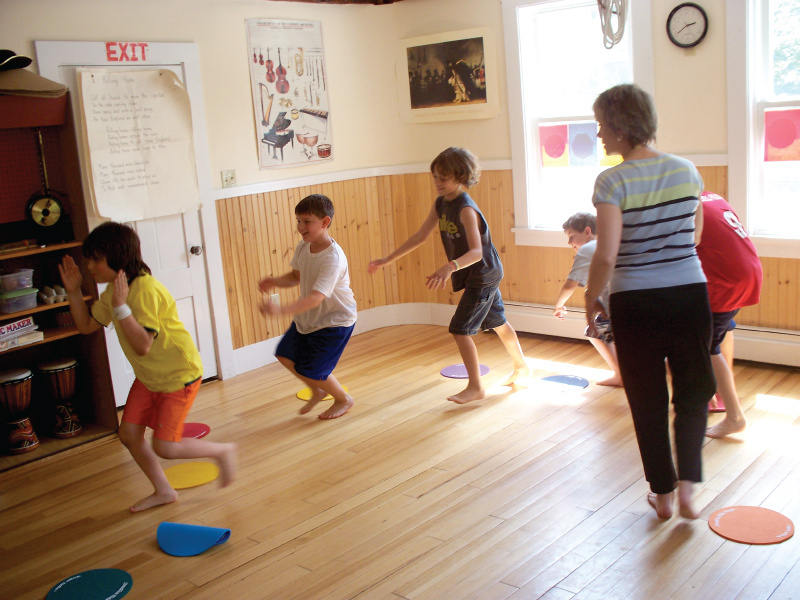 Sandy is a trainer for the Introduction to Creative Kids Yoga® (CKY) teacher training program. She conducts four-hour workshops at schools and other venues for teachers who are interested in bringing this dynamic children’s program combining yoga and movement into their classrooms. You’ll learn techniques for easing your and your students’ everyday stressors in and out of the classroom and ways to sneak CKY into your school day as needed. Best of all, you’ll be prepared to integrate these techniques and activities into your classroom immediately! Contact Sandy for particulars, fees, and schedulings. Check the Peaceable Pathways calendar for the next scheduled Intro to CKY training or invite me to come to you. Sandy offers hour long Creative Kids Yoga® (CKY) workshops to elementary school children at local libraries and other venues. Her workshops are a fun-filled blending of yoga and movement concepts that promote creativity and problem solving, moving back and forth between the form of yoga postures and movement concepts and the freedom of creative expression. Children learn to use their bodies in space and in relationship to others as well as how to become still from the inside out. Body, mind, and spirit are creatively engaged! Bringing Creative Kids Yoga to area preschools and elementary schools is another aspect of her work.